The complete outdoor fun solution for parties and family events with this versatile games set. 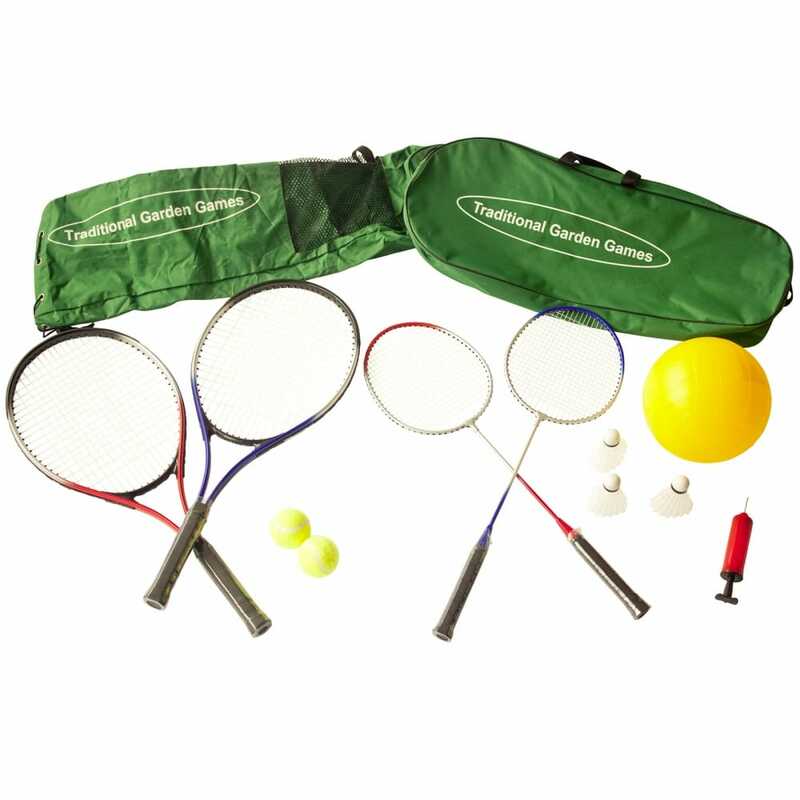 Comes with 2 badminton & 2 tennis racquets, 3 shuttlecocks & 2 tennis balls, 1 volleyball and pump, quick easy setup and dismantle with no need for ropes, pegs or bases filled with water 2 canvas bags 1 for the frame & 3 metre net and 1 for the racquets great for setting up in the garden, park or beach, easy to transport with the compact storage bags. Easily adjusted the net can be set at 155cms for playing badminton or volleyball and 85cms for tennis. A bit about the brand: The Traditional Garden Games range reflects the importance of tradition and heritage and encourages participation, competitiveness and fun.We create products that are ideally suited for children and adults to spend more time in the garden making leisure time more enjoyable for all the family.